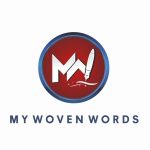 The 2018 OSCA WOVEN WORDS COMPETITION was organized by My Woven Words and it was only for undergraduates of tertiary institutions in Osun State as approved by the ministry of education, Osun state. There were Terms and Conditions for contestants. OSCA Woven Words Competition remains the “first-of-its-kind” and “one-of-its-kind” in Osun state, Nigeria. To avoid Conflicts of Interest, we reached out to a number of unbiased scholars in a university outside Osun State to assess the submitted manuscripts and select the best contestants. All the contestant got a certificate of participation and some of the submitted manuscripts were selected for online publication. TOPIC: The Tenacity of Nigerian Youths in National Development and Leadership Roles. In Biology, Growth is the increase in size and mass of an organism over a period of time, while development is the process of transformation of a lone and simple cell of less functionality and capabilities into a more complicated multicellular (interrelated, interconnected and interdependent) organism with enhanced structure, functionality and capabilities. Similarly, only coordinated and synergized growths in various sectors (social, economic, political, health, material, cultural and scientific, etc.) of a country can bring about a positive change and improvement in the overall wellbeing of a nation and its people. This synergized overall positive change and wellbeing is known as? NationalDevelopment?. This explains why the entertainment, media, fashion and telecommunication sectors in Nigeria are rapidly growing, but national development is not improving commensurately. The transformation process is what synergizes the growths in the various sectors into national development. Leadership is essential for any process to be effective. Change processes are effected by people and so, the roles of leaders (coordinators of the activities of people effecting various processes) are germane for enhancing national development. For transformation processes to be effective in a multifaceted nation like Nigeria, they must be inclusive (cater for the diverse categories of its citizens) and this can only be when such processes are interrelated, interconnected and interdependent. This is where the Nigerian Youths come in. The three-fold dynamics of transformation above demands vigour, passion, ambition, enthusiasm, hope, commitment, selfless service, knowledge update, upgrade and expansion, willingness and readiness to change and adapt, motivation, networking, determination, resilience, perseverance, sacrifice, discipline, accountability, boldness and courage, doggedness, patience, mutual respect, awareness and sensitization, creativity, collaboration, risks taking , wide involvement and participation, solidarity, harmony and unity, critical holistic and self- awareness, assessment, development, discipline and enlightenment, and consideration of others which only the youths can provide effectively. Youths, being people between ages 18 and 35 according to the Nigerian Constitution, accounts for up to 60% of Nigeria?spopulation and are the middle-men and links between the children, teenagers and the senior citizens. These citizens are often interrelated to, interconnected with and interdependent on the youths. Any transformation process initiated and coordinated by or involving the youths will doubtless be inclusive and improve national development. The innovative and entrepreneurial involvement, participation and collaboration of youths revolutionized the media, fashion and entertainment industries in Nigeria. It?s high time the youths took up leadership roles in other sectors of the country and replicate with vigour and tenacity the success story we are known for in other sectors for holistic national development. Nigerian youths should stop placing self above others, and fame above integrity. It is high time we (Nigerian youths) harness the power in our diversities to bring about positive transformations for national development. I need you, you need me, we all are part of one body. Nigeria will rise again. I believe in myself. I believe in you. I believe in Nigeria. I am a Nigerian.